What do you know about the Google algorithm? Do you know it changes 500-600 times a year? Are you adjusting your SEO strategy for the major algorithm changes that take place once or twice a year? 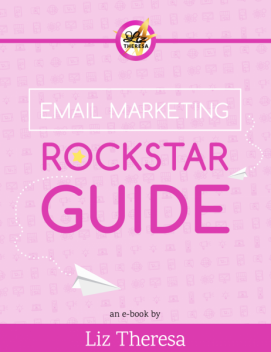 If you’re unsure about any of these questions, this eBook is for you! You can’t talk about online marketing without talking about Search Engine Optimization (SEO). SEO may seem like an antiquated term in internet years, but the thing is, it still matters. A lot. You still want your page and posts to be relevant, don’t you? That fact hasn’t changed, but I found that a lot of people I talked to either didn’t think SEO was important anymore, or didn’t know how to implement SEO at all. 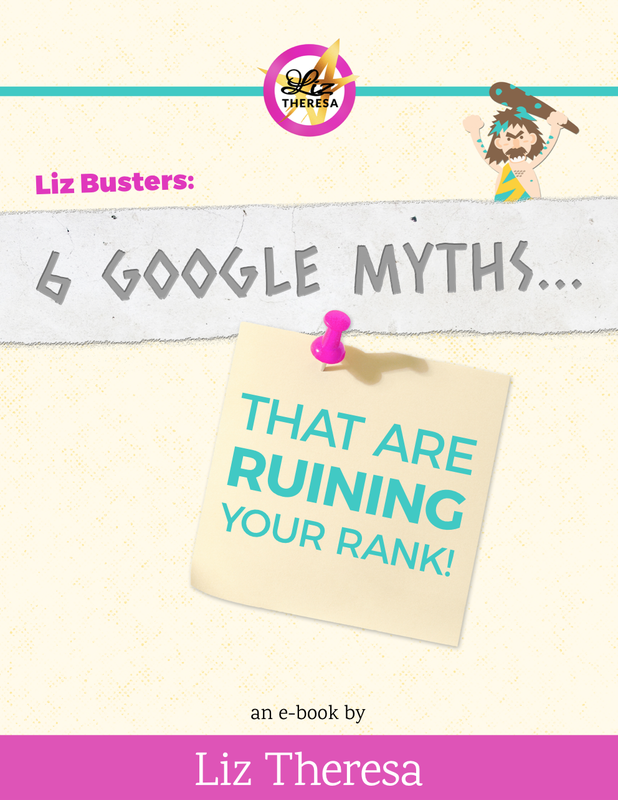 That’s why I created Liz Busters: 5 Google Myths That Could Be Ruining Your Rank! It’s a myth-busting guide that examines 5 common misconceptions about SEO and provides you with alternative strategies. When’s the last time you googled yourself? Were you happy with the results? Think about all the random stuff you google every day. You still use Google ALL THE TIME, don’t you? Of course you do. And when other people google stuff, you want it to be you and your business. That’s where I come in. This guide will ensure that when people google you, they’ll be given relevant, awesome, timely content right at the top of their search results. When you download this kit, you’ll not only learn the 5 biggest Google myths, but you’ll also get the answers to the three most common questions I get about SEO. So, go ahead! What have you got to lose? (Hint: nothing!) 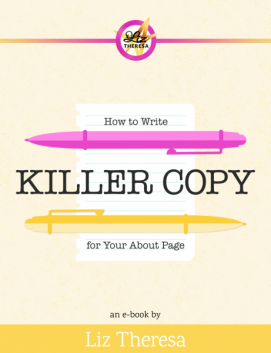 Download the guide today to dethrone Google as the king/queen of the internet. You deserve that crown!